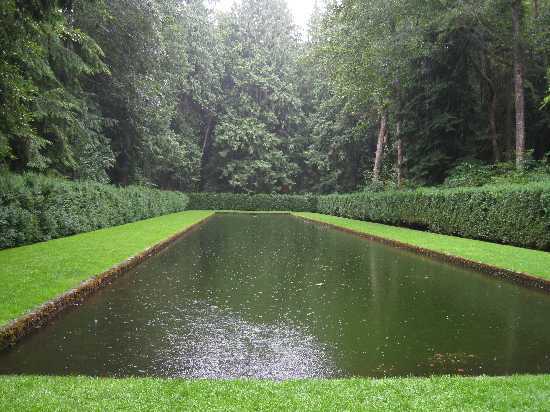 Most of us will never have a reflecting pool in our garden, but water in the garden comes in many forms. The Bloedel Reserve has many beautiful ways to use water in the garden., this is just one. 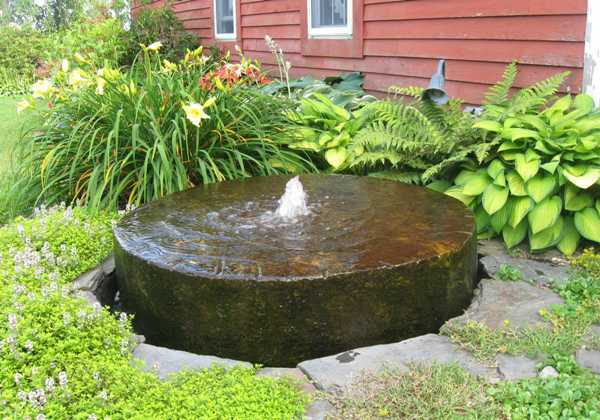 A small fountain near the house makes electricity for the recirculating pump easy. 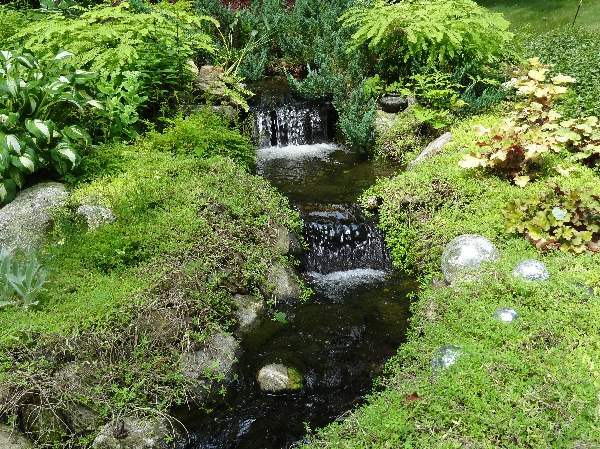 This small waterfall has been ‘tuned’ to make lovely music. The water enters in a lovely fishpond. 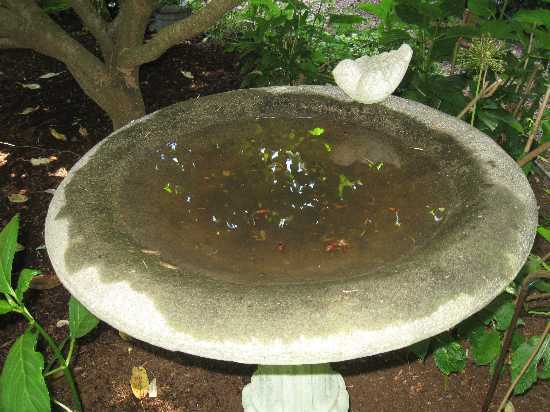 A simple birdbath in the shade. 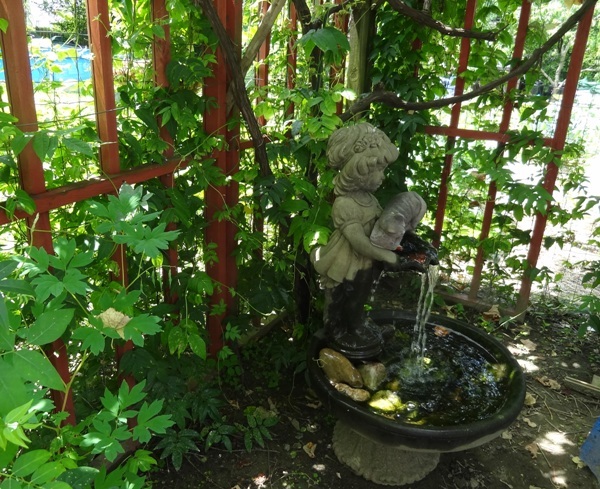 A more elaborate fountain in the shade. Burbling. A fountain in the sun is beautiful, too. 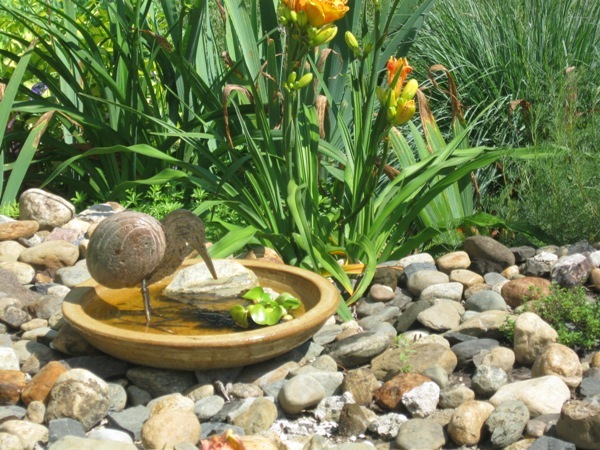 You can combine a birdbath with art. 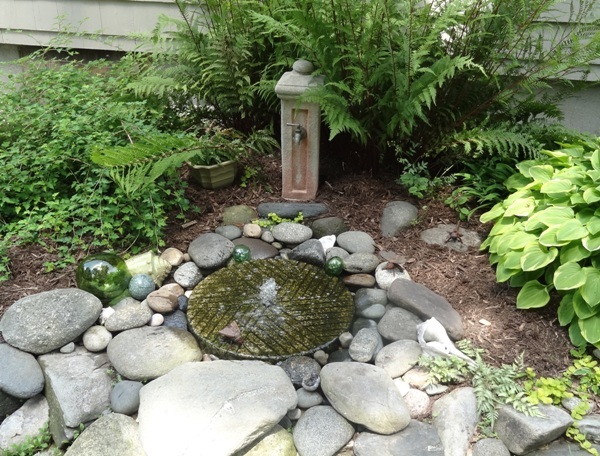 Through the magic of recirculating pumps you can have a pond and a fountain. 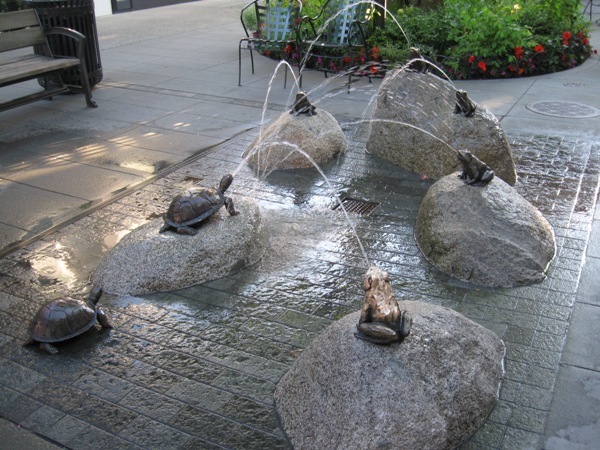 Even municipalities can have a sense of humor and play with water. For more (almost) Wordlessness this Wednesday click here. Very fun. Alas, the water in MY garden (if you can call what I have a garden) is a swamp at the moment. But one lives in hope…. 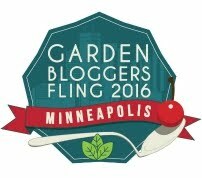 Wouldn’t I love a reflecting pool! 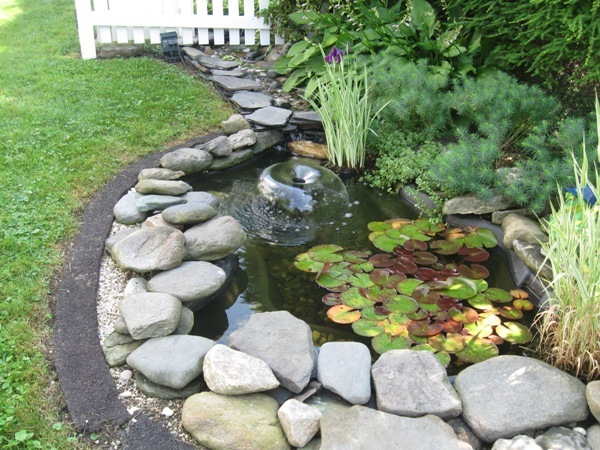 As it is, my little pond can barely hold a water lettuce once it starts making little lettuces. Love water in the garden! I love all of the options that you shared! Water is my favorite garden element.